A delicious compendium of delights for your favourite curry fan. This sturdy hamper-effect box contains everything you need to make a gorgeous chilli masala curry (a fabulously aromatic blend of spices with a burst of chilli heat). 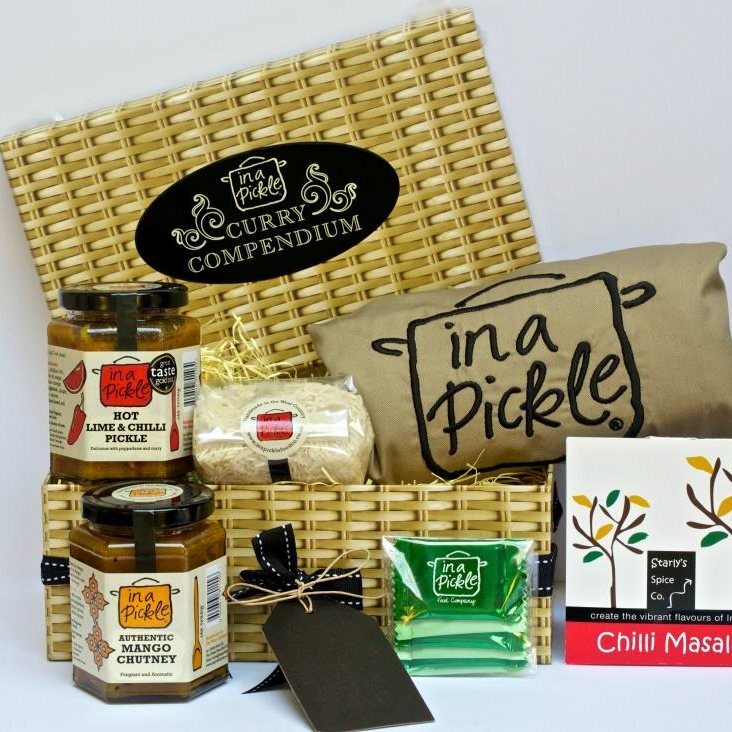 The box comes with a lid label, bow and gift tag, so that you can gift it directly, or for a gift with a bit of a difference, use it to create a curry feast to treat someone special. This product is dispatched by In a Pickle Food Co.. This item has a shipping weight of 2,000g.